Gluten has become controversial. While some say it can be safe for most, others believe it can be harmful. More Americans are going gluten-free. In a 2018 survey published by the National Restaurant Association, 44% of the surveyed chefs claimed gluten-free was a hot trend in the US (1). Though the trend seems to be cooling off, the gluten-free industry is all set to touch $7.6 billion in the US by 2020. 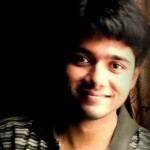 How far is it justified? What Foods To Avoid To Prevent Gluten-Related Issues*? Gluten is the general name for the different proteins found in wheat, barley, and rye. Gluten helps foods maintain their shape. In a way, it acts like a glue that holds the food together. Wheat is the most commonly consumed gluten-containing grain. Well, what is gluten made of? The two major proteins in gluten are glutenin and gliadin – and gliadin appears to have the most negative health effects of the two (2), (3). 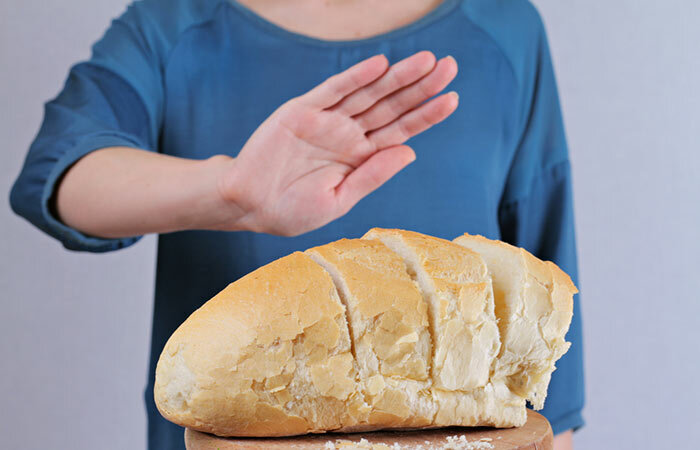 The most common concerns with respect to gluten are related to gluten sensitivity. But is there more gluten can possibly do? The most common problem associated with gluten is celiac disease. People affected by it can’t tolerate even minute amounts of gluten. In such individuals, gluten damages the lining of the small intestine. This eventually interferes with nutrient absorption – potentially leading to osteoporosis, infertility, seizures, and nerve damage (4). Gluten sensitivity is another issue. Most often, it triggers similar symptoms (abdominal pain, bloating, depression, and fatigue) but doesn’t always damage the intestinal lining. Gluten doesn’t directly cause these issues. But your body’s immune system reacts to gluten in a certain way, leading to these issues. Gluten peptides enter the intestinal mucosa and provoke the body’s immune system to attack its own tissues. What causes this remains unknown (5). This happens in certain individuals – where the body senses gluten as a toxin, causing the immune cells to overreact and attack it. In certain sensitive people, this results in inflammation in the body – causing problems (6). Let’s look at these issues in detail. Celiac disease is the most severe form of gluten sensitivity. It is an autoimmune disease, where the body’s immune system attacks the gluten proteins. It also attacks tissue transglutaminase, which is an enzyme in the cells of the digestive tract. This leads to the degeneration of the intestinal wall. About 1% of the American population has celiac disease (7). Though this number might appear small, studies show the rate is increasing rapidly (8). Several studies show the capability of gliadin peptides in triggering an autoimmune response (9). 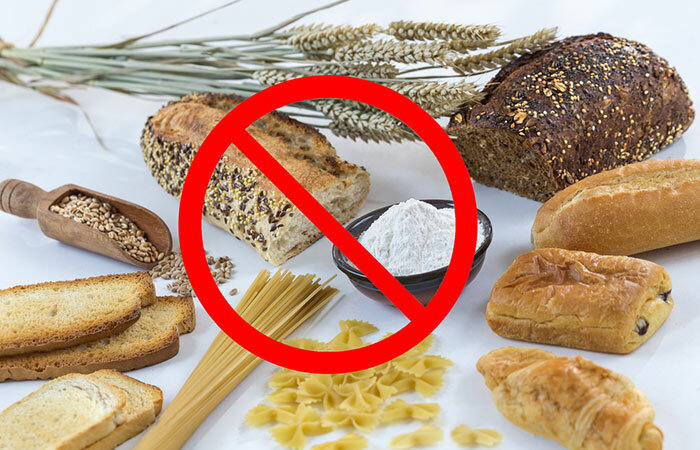 Avoiding foods containing gluten is an important step in treating celiac disease. Eliminating gluten from the diet can improve most of the symptoms and even heal the damaged intestine. You can include meat, fish, fruits and vegetables, rice, and potatoes in your diet (10). You may replace wheat flour with bean flour. You can also enjoy quinoa, buckwheat, and amaranth. This is also called gluten sensitivity or gluten intolerance. It involves adverse reactions to gluten, but without the attack on the body’s tissues. Symptoms include stomach pain, fatigue, bloating, diarrhea, and joint pains. Studies show that individuals who have NCGS report an improvement in symptoms on a gluten-free diet (11). NCGS is also different from wheat allergy (a different health condition). Though it is quite different from celiac disease, what triggers NCGS is still largely unknown (12). Gluten can spell trouble even in individuals who don’t have from celiac disease or gluten sensitivity. In one study, patients with irritable bowel syndrome experienced aggravated symptoms after ingesting gluten (13). Excessive gluten intake can also induce changes in the intestinal mucosal architecture – even in normal individuals who don’t have celiac disease (14). Gliadin in gluten was also linked to increased intestinal permeability (15). This condition is known as leaky gut, in which potentially harmful substances from the intestine tend to leak into the bloodstream – causing major harm. These adverse effects could be linked to the amino acids in gluten proteins – namely glutamine and proline. The presence of these amino acids makes gluten difficult to degrade. Hence, they persist in the gastrointestinal tract – possibly triggering the immune system (16). This is one reason gluten-free diets may curtail most symptoms of even nonceliac autoimmune diseases (17). Research also says that certain individuals experience gastrointestinal and non-gastrointestinal symptoms following the ingestion of wheat. This can possibly be attributed to gluten (18). There is a spectrum of gluten-related disorders completely unrelated to celiac disease. These include asthma, allergic rhinitis, atopic dermatitis, urticaria (round rashes on the skin that itch intensely), and anaphylaxis (19). Gluten can have certain ill effects on the brain too. A problem called gluten-sensitive idiopathic neuropathy consists of neurological illnesses caused or aggravated by gluten intake. In a study, 30 of the 53 neurological patients were found to be gluten-sensitive as well (20). Gluten consumption has also been linked to many cases of neurological issues – the most common of them being cerebellar ataxia. This brain disease causes problems in talking and maintaining movements and balance (21). In a one-of-a-kind study, a 14-year-old girl was diagnosed with psychotic symptoms linked to gluten consumption (22). Strangely enough, the girl showed complete resolution of symptoms after following a gluten-free diet. Cases of visual and auditory hallucinations, which were resolved post a gluten-free diet, are also reported. The exact causes of these phenomena are still unknown. Gluten has also been linked to other neurological illnesses like autism, schizophrenia, and epilepsy (23), (24), (25). Gluten, in addition to celiac disease, has been linked to other autoimmune diseases. These include Hashimoto’s Thyroiditis, multiple sclerosis, and type 1 diabetes (26), (27), (28). Note: Wheat germ agglutinin (WGA) is a lectin (a type of protein) present in wheat. Though this is not directly linked to gluten, WGA is a major component of wheat (just like gluten) and can have adverse effects. WGA was found to cause chronic inflammation and other autoimmune diseases. Along with the gliadin in gluten, WGA can further increase intestinal permeability and cause worse issues (29). Gluten, a seemingly simple protein, can cause serious harm. It may not affect a majority of the population, but it can cause strong (and sometimes unforgiving) effects in susceptible individuals. There is respite available to such individuals – which involves completely avoiding foods containing gluten. Certain prescription drugs and supplements may also use wheat gluten as a binding agent. Check with your doctor or nutritionist about it. This is just one side of the gluten-free diet. You need to substitute these foods with others to ensure your nutritional needs are met. 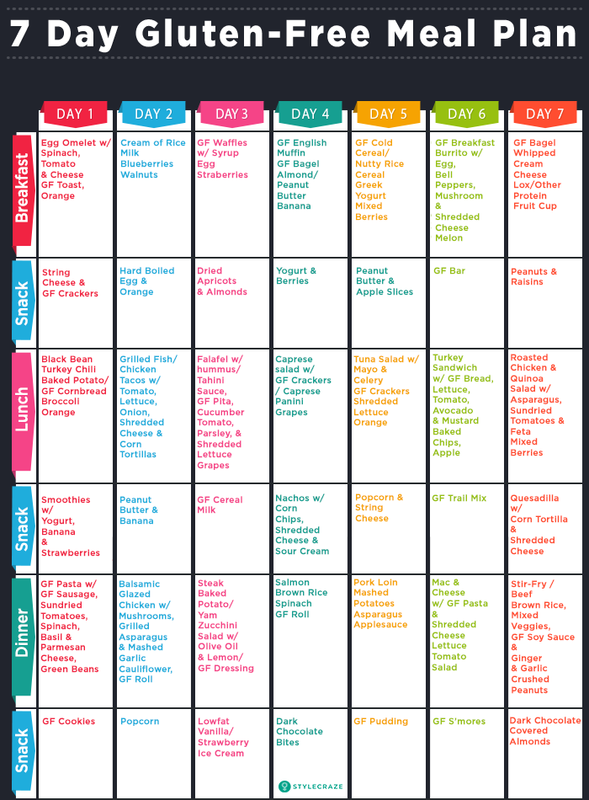 Making the necessary dietary changes can help you get your health back on track. But does this mean you can follow a gluten-free diet even if you don’t face any issues? Following a lifelong gluten-free diet is the only option for patients with celiac disease and individuals who face adverse reactions to gluten. Medications might become available, but we need to wait for further development (30). But how about individuals who choose to go on a gluten-free diet despite having no issues with gluten? Well, there are a few risks. 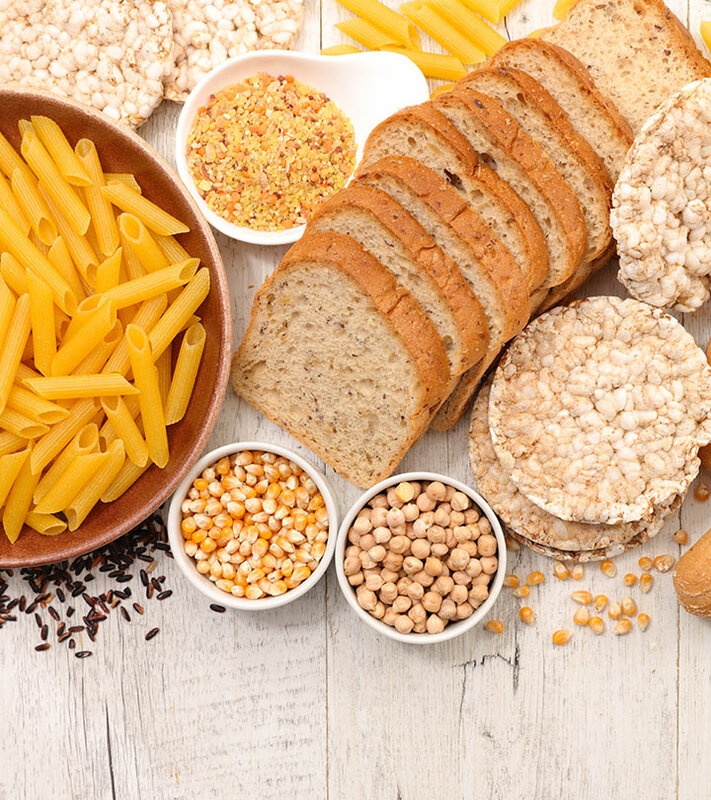 The gluten-free diet (or even special gluten-free grain products like breads or cereals) is often low in fiber, potassium, iron, and zinc (31). The gluten-free diet can also increase the risk of deficiencies of B vitamins and other trace minerals (32). Gluten-free products can continue to be more expensive. Studies have found that gluten-free bakery products were 267% more expensive than their gluten-containing counterparts (31). Following a gluten-free diet may cause weight gain. Gluten-free products are often high in fat and calories and low in fiber and whole grains (33). Individuals on the gluten-free diet were found to consume significantly more carbohydrates and fat (and protein) (34). This can lead to weight gain if proper care is not taken. Going on a gluten-free diet when gluten isn’t a problem may lead to detrimental effects. So, we don’t recommend that. But if you still want to go ahead, we suggest you have a word with your doctor. 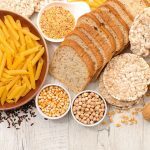 In addition to following their advice, you can take a look at the strategies for increasing the intake of fiber (and other nutrients) on the gluten-free diet. You can add cooked legumes to mixed dishes and side dishes. Add brown rice and vegetables to gluten-free wraps. These can make for a tasty evening snack. Use gluten-free whole grains instead of white rice whenever possible. A few such grains include amaranth, quinoa, millet, sorghum, brown or wild rice, gluten-free oats, and buckwheat. Go for gluten-free whole grain crackers instead of rice-based crackers. Go for gluten-free whole grain pasta instead of rice or corn pasta. You may choose popcorn as an evening snack. Replace potato chips with crunchy veggies as sides for wraps and sandwiches. Ditch the fads and embrace the facts. Check for yourself (and with your doctor) if you need to hop on the gluten bandwagon. Also, tell us if you have faced any issues with gluten. How did you deal with it? Share your experience in the comments box below. “Why gluten-free is here to stay” Institute of Food Technologists. “Chemistry of gluten proteins” Food Microbiology, US National Library of Medicine. “Relation between gliadin structure and…” Acta paediatrica. Supplementum, US National Library of Medicine. “Going gluten-free just because? Here’s what…” Harvard Medical School. “The immune recognition of gluten…” Clinical & Experimental Immunology, US National Library of Medicine. “Gluten: a benefit or harm to the body?” Harvard School of Public Health. “The prevalence of celiac disease in the…” The American Journal of Gastroenterology, US National Library of Medicine. “Increased prevalence and mortality in…” Gastroenterology. “The role of gluten in celiac disease…” Nutrients, US National Library of Medicine. “Eating, diet, and nutrition for celiac disease” National Institute of Diabetes and Digestive and Kidney Diseases. “Non-celiac gluten sensitivity…” Journal of the American College of Nutrition, US National Library of Medicine. “Non celiac gluten sensitivity and…” Gastroenterology and Hepatology from Bed to Bench, US National Library of Medicine. “Gluten causes gastrointestinal symptoms in…” The American Journal of Gastroenterology, US National Library of Medicine. “Gluten-induced mucosal changes in subjects…” Lancet, US National Library of Medicine. “Gliadin, zonulin, and gut permeability…” Scandinavian Journal of Gastroenterology. “Adverse effects of wheat gluten” Annals of Nutrition & Metabolism. “Adverse effects of gluten ingestion and…” Oxford Academic Journals. “What role does wheat play in the symptoms…” Gastroenterology & Hepatology, US National Library of Medicine. “Spectrum of gluten-related disorders…” BMC Medicine, US National Library of Medicine. “Does cryptic gluten sensitivity play…” Lancet, US National Library of Medicine. “Neurological disorders in adult celiac…” Canadian Journal of Gastroenterology, US National Library of Medicine. “Gluten psychosis: confirmation of a new…” Nutrients, US National Library of Medicine. “A gluten-free diet as an intervention for autism and…” SAGE Journals. “Relapsed schizophrenics: more rapid improvement…” The British Journal of Psychiatry, Cambridge University Press. “Successful treatment of epilepsy and…” ScienceDirect. “Autoimmune thyroid diseases…” European Journal of Gastroenterology & Hepatology, US National Library of Medicine. “Gluten sensitivity in multiple sclerosis…” Annals of the New York Academy of Sciences, US National Library of Medicine. “Remission without insulin therapy…” BMJ Case Reports, US National Library of Medicine. “The dietary intake of wheat and other cereal…” Nutrients, US National Library of Medicine. “Novel treatments for celiac disease…” Digestive Diseases, US National Library of Medicine. “Gluten-free food database…” PeerJ – the Journal of Life & Environmental Sciences. “The gluten-free diet: fad or necessity?” Diabetes Spectrum, US National Library of Medicine. “Gluten-free diet: Imprudent dietary advice for…” Journal of the Academy of Nutrition and Dietetics. “Evidence of high sugar intake…” Alimentary Pharmacology & Therapeutics, US National Library of Medicine.